These are simple to make and taste delicious too! This makes an impressive looking side dish or appetizer and it only requires a few ingredients. 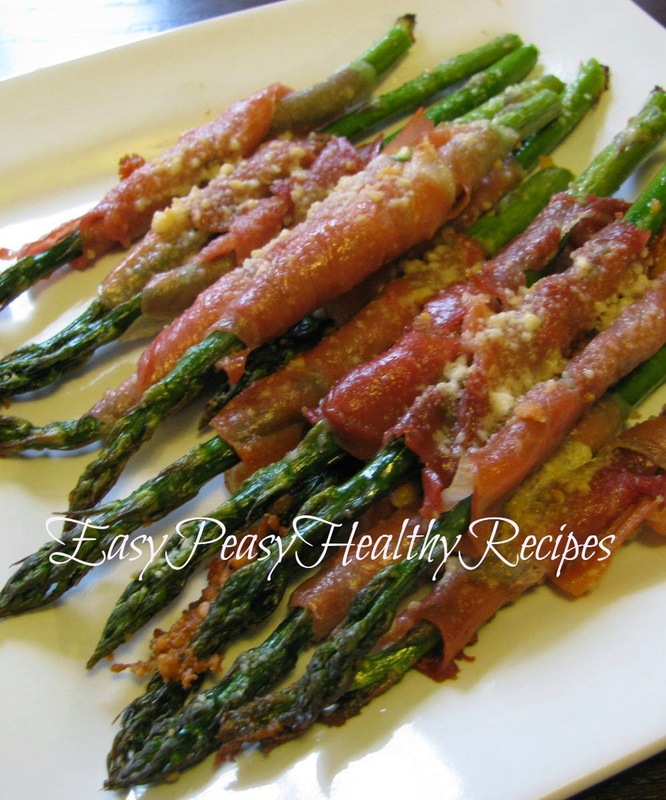 Asparagus is packed with healthy nutrients and is low carb too. These can be made up ahead of time and then put in the oven at the last minute. 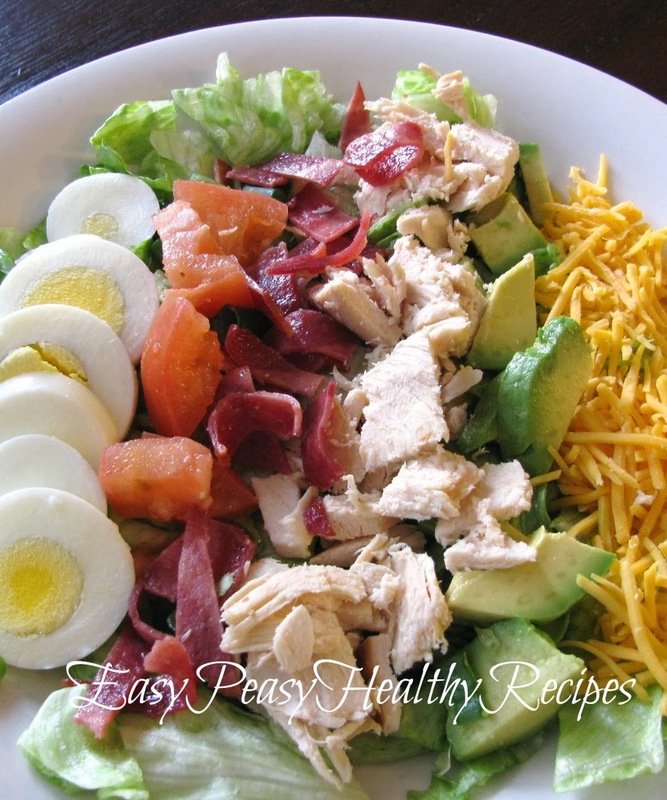 Making a restaurant-style Cobb salad is simple to do and tastes delicious too! This salad is packed with protein that makes it very filling. I like to use turkey bacon to make this healthier but regular bacon could also be used. I also like to make this using a deli rotisserie chicken to save time. Hope you enjoy this yummy salad! 1. Place eggs in a saucepan and cover completely with cold water. Bring water to a boil. Cover, remove from heat, and let eggs stand in hot water for 10 to 12 minutes. Remove from hot water, cool, peel and chop. 2. Place bacon in a large, deep skillet. Cook over medium high heat until evenly brown. Drain, crumble and set aside. 3. Divide shredded lettuce among individual plates. 4. Evenly divide and arrange chicken, eggs, tomatoes, cheese, bacon, avocado and green onions in a row on top of the lettuce. 5. Drizzle with your favorite dressing and enjoy.